This week we discuss Tomb Guardians Miniatures, Things From the Flood, the Odyssey of the Dragonlords Kickstarter and two-player TTRPG lunch sessions with our guest @jampersand they are a long time member of our roleplaying group playing Monsterhearts, the Sprawl, and many more RPG systems. Most notable for their creation of the “boop snooted laser wolf”, undeniable proof of the unpredictability of tabletop RPGs. 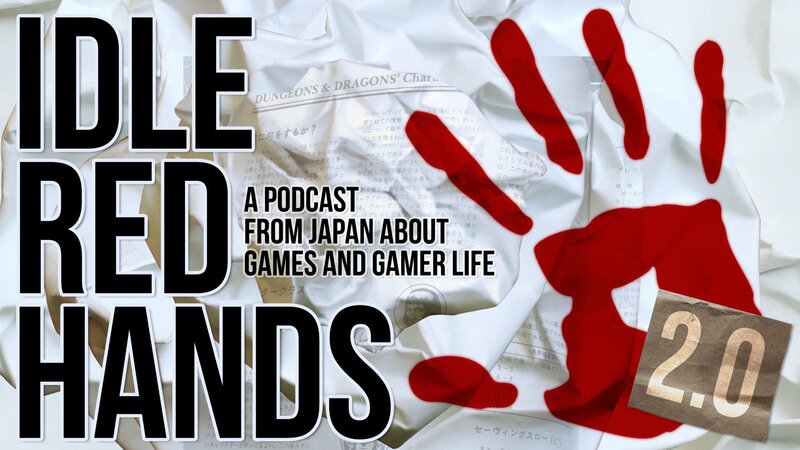 This week begins Idle Red Hands Weekly, a shorter format update podcast to let you know what we are working on and what’s coming up in the future. We will talk about gaming news, our favorite new releases in the tabletop world and also our favorite crowdfunding projects. In addition, we answer questions from listeners and give you teasers for topics of our upcoming longer episodes. All of this in under thirty minutes! Subscribe to the podcast, if you haven’t already, and along with our regular in-depth discussions, reviews and gaming inspiration, we will keep you up to date. In our premiere episode we discuss two Kickstarter projects in their final week Swordsfall and Mysthea: Legends from the Borderlands RPG. Also upcoming topics on the podcast and dodging magic in the Forbidden Lands RPG.